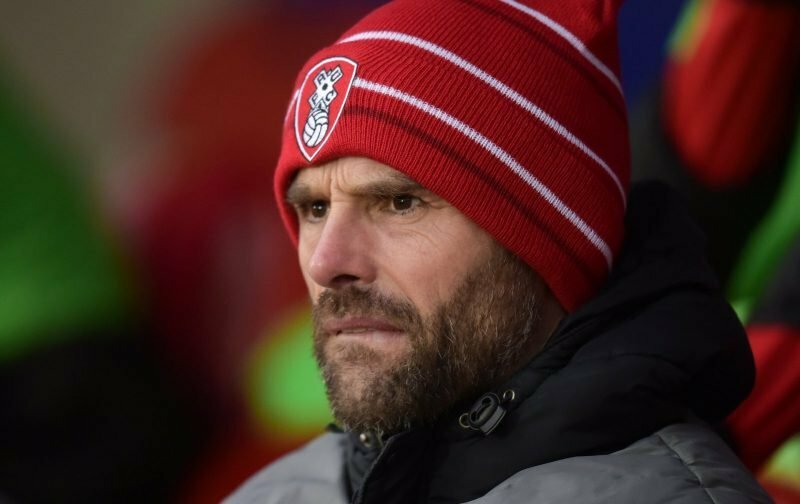 After hoping to get bodies over the line before the 11pm transfer window deadline today Rotherham United Manager Paul Warne has failed to do so. The Millers Boss said earlier in the day that he was playing a ‘bit of a waiting game’ saying that if there was no movement he felt he was in a ‘good place’ but wasn’t sure the Rotherham fans will feel the same way. The Millers Boss also said that he was expecting a Premier League winger to come but he decided to stop with his parent club which he said was ‘disappointing’. So, the Millers have brought just one player in – Matt Crooks, during the transfer window. But, there could still be some to come in via the loan system, which isn’t closed yet. I’m expecting a lot of Rotherham fans to be disappointed that the Millers haven’t been able to swell the squad. I feel a little like that myself. But, it’s no good crying over spilt milk as they say and we have to hope that our injured players come back sooner rather than later. Now, we have to concentrate on our game at Millwall on Saturday and forget we all sat refreshing the Millers websites/twitter accounts until 11pm this evening. Do us all a big big favour Warne and p*** off what a absolute load of bull**** this clown as spouted out about signings, was never going to happen and it’s disgraceful that a championship club have failed so abysmally in the transfer market, what a con for the paying public. Very harsh comment Stuart. Warne got them promoted and they’ve been hanging on ever since against teams that have massively greater spending power, not to mention appeal to players. At this level and beyond, football becomes all about money rather than passion, otherwise we’d regularly see better players trying to help struggling teams. Unfortunately Premiership players are all about money and prestige, so why would they come to Rotherham? What exactly about all this is Paul Warne’s fault? Paul Warne is a magician, we have to keep him nomatter what. Ok RUFC get gates of 10,000 but we all know cash for soccer clubs comes from tv and sponsors not gates. Paul Warne as had the entire month of January to get some much needed fresh blood, nobody was expecting stellar signings but for goodness sake we sign one lad from Northampton no disrespect to either, all we hear from Warne is what great team sprit and good human beings they are, all well and good but it’s not winning us any games of football which is what counts, am fed up of hearing calamity Warne and we gave it everything, let’s just get back to our level of league one football and stay there, it’s just a con otherwise to the supporters who handover hard earned cash.